The world’s most comprehensive reference to Champagne and sparkling wine by the world’s leading authorities Tom Stevenson and Essi Avellan MW. This 3rd edition is fully updated and significantly extended by Essi Avellan MW. 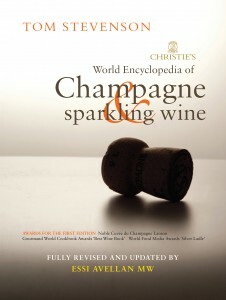 A country-by-country guide, from the finest Champagnes of France to the lesser-known sparkling wine producers of China, this extraordinary work takes the reader to five continents and to all the countries where serious sparkling wine is produced. 528 pages and more than 1,600 producers from around the world are rated on a 100-point global scale withan in-depth analysis of their history, method of production and style of wine. Point-by-point explanation of what makes the greatest sparkling wines special.